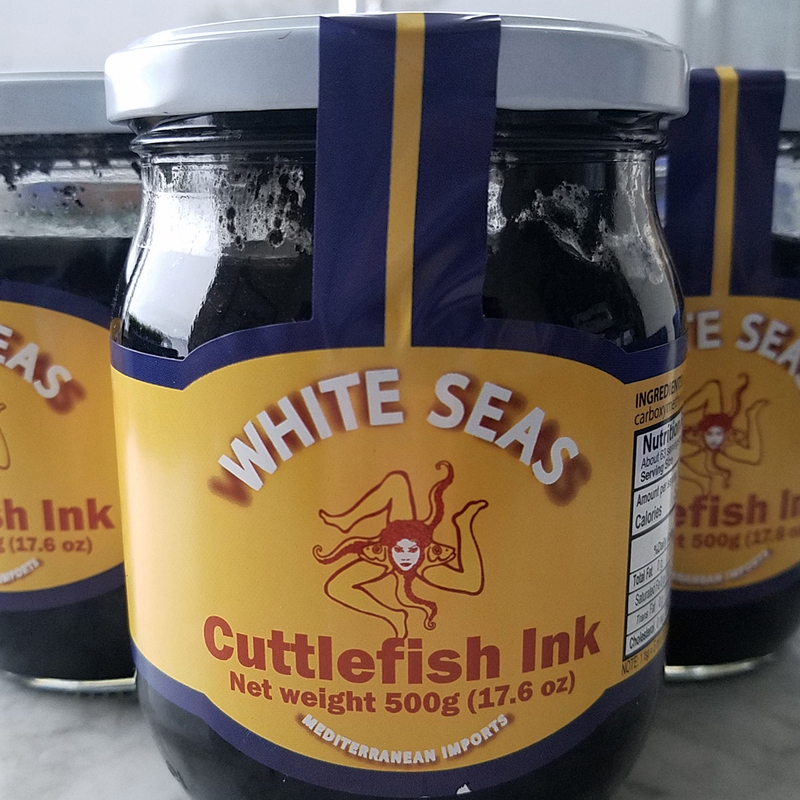 Squid ink is our weekly featured special item! Harvested from North Sea Cuttlefish, this product is a part of our premium Spanish brand, signifying the highest quality we have to offer. If you’ve never used squid ink before, it is traditionally being used in sauces, risottos, crackers, or to color pasta black. Cuisines range from Mediterranean to Asian, and even modern American. The complex ocean flavor that comes from this dye has a slightly pungent aroma that’s complimented by a salty brine that accents all kinds of seafood. The high glutamate levels pack this viscous liquid with tons of umami, only adding to the allure. 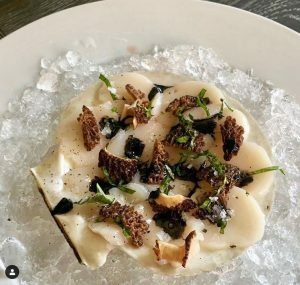 We’ve seen squid ink used in a variety of unique applications such as ‘death metal cocktails’ where the squid in is used to dye smoky mescal jet black and accented by a spicy simple syrup. But one dish has caught our eye. Chef AJ Baker from the Cioppino Restaurant & Cigar Bar in Pittsburgh created a Live Scallop Crudo with a Squid Ink Vinaigrette, pickled morel mushrooms, basil, and Maldon sea salt. « Iceland: Strong Genes and A Small Footprint. Race to Kona: Chefs, Win a Trip to Hawaii!